The winy port overtakes the nine year old bourbon, as it fights courageously to be heard in the chorus of tannins and sweet prune – an entertaining fight on the nose, but slightly uneven on the palate with the port winning in a knockout! 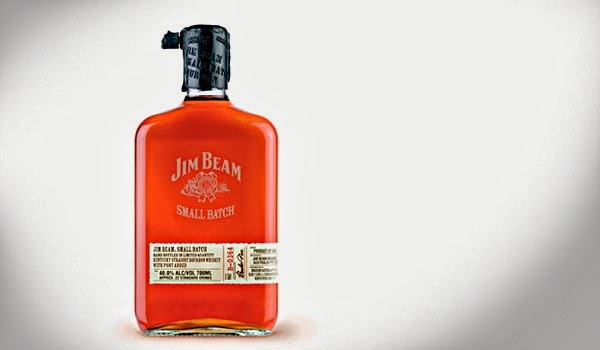 This whiskey is part of the Jim Beam small batch collection. This particular expression is nine year old bourbon with port added for some extra kick. This adds an interesting twist to the bourbon experience. Nose: There is an initial electrifying energy about this whisky, as it crackles on the nose with vanilla, charred oak and the aroma of chocolate coated raisins – prunes come through in mild waves. The corn adds sweetness to the mild rye notes that shimmer occasionally, but the energy in this whisky quickly flattens out and retains mostly an alcohol laden – rather than complex and interesting – spark. Let the whisky rest, and the vanilla thickens and intensifies into gooey caramel and toffee covered in licorice and preserved dark cherries. What is particularly intriguing about the nose on this whiskey is that it transforms, it has an energy that flattens and then the energy returns! My disappointment becomes happiness, and I continue to nose this whisky to unpack whatever other surprises it might offer – cheeky little bugger! Taste: Herb butter melts over sweet brandy soaked raisins, as the oak driven bitterness takes hold. That bitterness drives out the other character, strangling it – it is almost tannic, wine like, sherry or port. With that tannic bitterness comes cherry liquor chocolates. The lovely grain on the nose is lost, and the taste of this whiskey is dominated by that winy character as weak shimmers of classic bourbon flavours occasionally protrude through that tannic veil. Finish: Preserved prunes develop with dark chocolate and dried figs.